Suzanna joined the centre in October 2018 after completing her Undergraduate at the LSE and graduating with a Masters degree from the University of Bath, Charles University, Prague, and the Humboldt University in Berlin in Contemporary European Studies. She also completed a Blue Book Traineeship at the European Economic and Social Committee, where she worked on international trade and the accession of the Western Balkans. 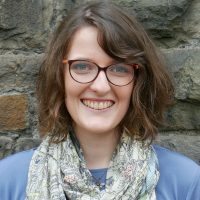 Her role spans the breadth of WCPP activity and she is collaborating on academic research, the Welsh Government work programme, and public services projects. Her research interests include the interaction between trade and gender, nationalism, and policy making for complex issues. In her spare time, she enjoys playing bridge competitively and being Dotty Owl at a local Brownie pack.